Mondays! Well for me, Mondays err! are a kind of struggle, after a long and busy weekend I usually have problems to wake up in the morning, so I try to find an easy recipe to make and today was one of those Mondays when I just couldn’t wake up, we almost arrived late for school, luckily my children woke me up and we rushed to get ready. So for lunch I really needed something comforting to make me feel energised and this broth is just so good and full of yummy vegetables. It is a Mexican broth with lots of history behind, the Caldo Tlalpeño, comes from the city of Tlalpan in Veracruz, traditionally this recipe is cooked with shredded chicken, but I didn’t fancy chicken today, so I decided to do the vegetarian option of it. 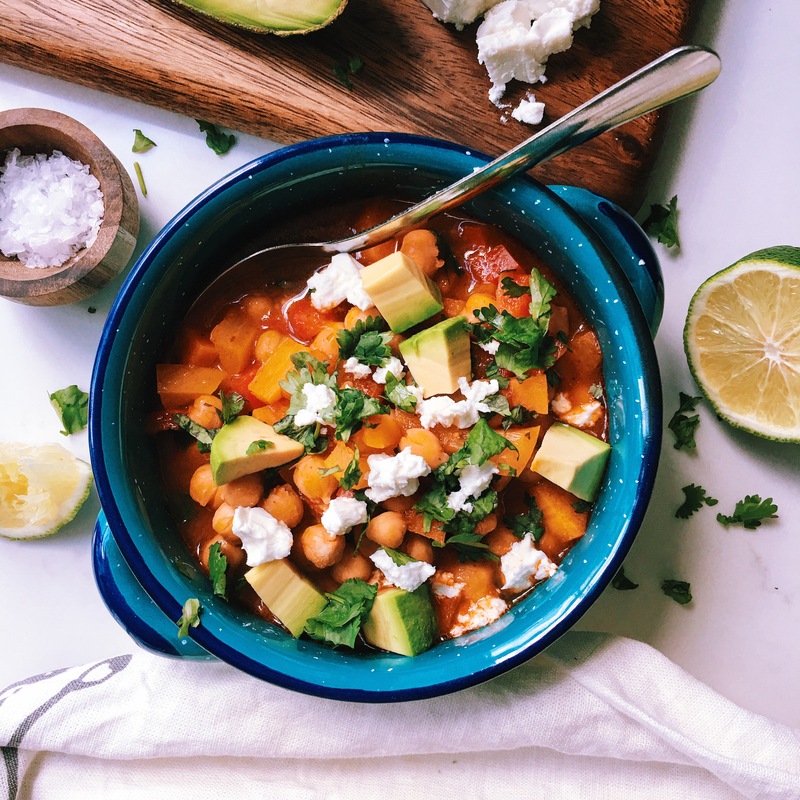 The two main ingredients for this broth are chickpeas and chipotle chillies and when you put these two ingredients together the finishing dish is just divine! Believe me this broth is such an amazing dish, I love the flavour that the chipotle gives to the broth and the chickpeas are just filling and nutritious. Place the tomato, onion and garlic from the broth in a blender with some of the stock, then add the chipotle chillies in adobo (depending how spicy you like it add more) and blend until everything is well mixed. Heat a tbsp of oil in a casserole dish and add the chipotle/tomato sauce to it. Add all the vegetable stock, add salt and pepper to taste and cook for 15 min. Add all the vegetables (chickpeas, courgette, carrot, green beans, etc) and cook for around 15 min or until all the vegetables are soft. Serve with some avocado cubes and chopped coriander and fresh cheese. You can add a whole chipotle chilli when you serve the broth to have an even more spicier broth.